Welcome to the Daylesford B&B! 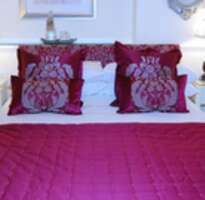 We are a high quality, award-winning guest house providing an excellent standard of comfort and hospitality. The elegant surroundings include a quiet lounge with wonderful views across the cricket pitch. Sit and watch the steam train chuff past the pitch during the summer months! 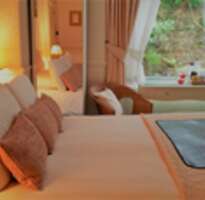 All rooms are en suite and have bathrobes (on request), flat-screen TVs, high-quality bed linen/towels and a well-stocked courtesy tray. Free WiFi. The superior, award-winning English or Continental breakfast is freshly prepared to order. Please ring direct for best prices !